With the Rev3 amateur series out of the way, I finally had a good opportunity to take my pro card. I thought about waiting until the 2012 season, but let's face it, I'm not getting any younger and I still have a lot to learn. Truthfully, I didn't want to be that pro that gets kicked out the back of races during the swim. I always believe you should be performing at the next level before being promoted or promoting oneself. Although my swim is still lacking, I was confident that I can hold my own in the water and I took the plunge at Soma 70.3. Swim (29:47): The pro race would be wetsuit free and for once I would not have to worry about overheating in another wetsuit swim. Being my first pro race, I knew one of the biggest changes would be - swim start dynamics - and I wasn't sure exactly who I could swim with. I was thinking I could maybe grab local-boy Lewis Elliot's feet, but I decided to line up next to the speedsters Guy Crawford and Lauren Goss and just see what happened. The gun went off and the frenzy started. It all happened so fast and before I knew it I was in the chase pack of about 6. Then the guy in front of me got dropped and I was relegated to swimming behind his feet for the rest of the swim. Despite his best efforts, he couldn't shake me and I would get a free tow all the way to T1. Overall I was never really in any difficulty in this slightly long swim, but I was concerned when a few age-groupers in wetsuits came flying by. In addition, I had a cramping left calve muscle and I was worried that the push-up and hop-out type of exit this race had would cause a full lock-up. Fortunately upon exit the calf was fine and I made quick work of transition. Bike (2:15:15): That bike course is 3-loop course on mostly flat roads that are in good shape but has over 50 turns to slow things down a bit. The stagger rule was in effect, but apparently the international athletes didn't get the memo. I got rolling on the course and my legs felt surprisingly good and the power was high. The numerous out-and-backs on the course provided many opportunities to check out my competition and I was pleased to see I was only a minute down from Lewis Elliott and had a nice gap on Matt Russell, Kevin Taddino, Jozef Major, and Matt Sheeks. Overall to stay apart of the race I had to knock up my power a bit from the typical age-group race. I rode right at 270-280 watts which is a pretty good number for someone 5'8 and 153 on race day. I was slightly concerned that the power would come back to haunt me in the blast furance of the run but I knew I had to stay in the race and that is what it took. The bike was chaotic in loops 2 and 3 as we merged with the age-groupers. The stagger rule was a real downer as I am accustom to sling-shooting around age-groupers using their slip-stream. Overall, the bike was pretty smooth but I got rocked on the turns and would lose 2-3 seconds on each one. This is definitely a place that I need to work on improving, but regardless I was happy to roll back into transition in 6th place. Run (1:23:51): The run course was a 2-loop out-and-back course in an extremely hot, dry, and shade-free environment. Because my bike power was a little higher than I would have liked, I opted to take it out conservatively to avoid a mid-run bonk. I followed the plan and I was pleasantly surprised to find out at the turn-around that I was only 4 minutes down from the leaders and roughly 2 minutes down from 5th. I came thru loop one and was feeling pretty good and decided to try to surge and catch 5th but it wasn't meant to be. At the turnaround on a lap two I was still about 1:10 down with only about 2.5 miles to go. I still tried to close the gap but couldn't do it and I came across the finish in 6th place. Overall (4:10:22): I wasn't sure what to expect, but I couldn't be happier with the result. I am all about slow-and-steady progress and the race helped to validate my training methods. Despite the long season, mentally my mind is fresh and I don't want the season to end. Physically my body keeps get stronger and faster and I know I still have a lot of potential for good racing in 2011. As of right now I am trying to get in Ironman Arizona but look for me at Amica 19.7 Phoenix in less than 2 weeks for sure. 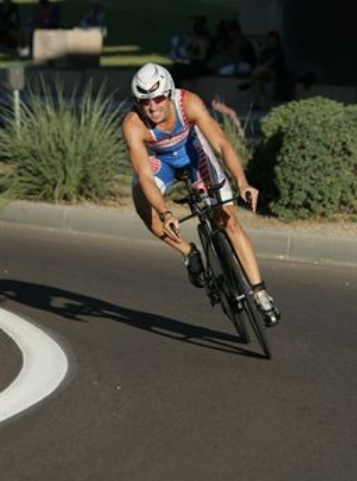 I will also be racing a local Tucson triathlon this weekend as a fast training day in preparation for Amica. I also want to thank Dana, Bill, Austin, and Logan Jones for homestaying me for the event. 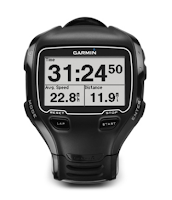 If you haven't got a chance don't forget to pre-order your Garmin Forerunner 910XT GPS watch - would make a great Christmas gift for someone special. 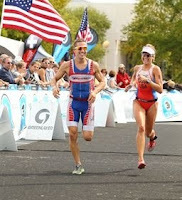 After my win at Rev3 Cedar Point, I signed up for Rev3 Anderson to contend for the amateur prize purse. The rules of the series required at least two races in varying distances, and Rev3 Anderson was the last Rev3 race of the year. Although it would be nearly impossible to win the series, there was a very good chance that as long as I finished the race that I would take second. However, finishing was in serious doubts when I picked up a stomach bug earlier in the week and was down for the count Tuesday, Wednesday, and Thursday. On Friday I still didn't feel quite right, but I decided to head to South Carolina anyways. Swim (27:44): The goal of the swim was to stay on the heals of the first swimmers and set myself up for the bike. I have continued to work on my swim and each swim seems to get easier - this race was no exception. After talking with Trista and Ryan from The Bachelor I decided to line myself up just behind the first row of swimmers. The gun went off and I grabbed some feet. It was a good group and we made quick work of the swim despite nobody really wanting to take a leadership role. 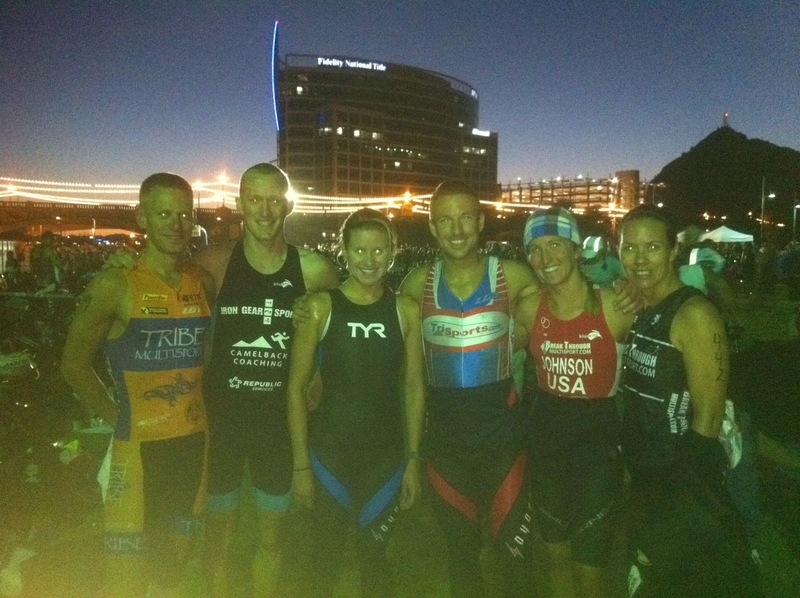 We caught up to some of the female pro's who went off 7 minutes earlier and I was out of the water in 4th place. Bike (2:26:51): After pre-driving the course the day before I opted for a shallow front wheel and a shallow rear wheel. Skipping the disc ended up being a big mistake as the windy day would have netted some good opportunities for sailing. The Rev3 Anderson bike course was a relentless rolling course with a large number of turns and technical sections and that in combination with a windy day largely influenced my conservative decision. On race morning I couldn't find my HR strap, and my decision to switch wheels meant that I wouldn't be riding my Powertap - I would race completely by feel. Coming out of transition the series leader - Jay Mccurdy - was just in front of me. Without my objective data I felt like the pace Jay was pushing was too high and I let him go after the first couple of miles. I would continue alone and I felt absolutely awful out there on the bike and it showed in my times. The course was tough but that only added to the misery of the off day. I did manage to pass the other two age groupers in front of me along with a handful of male and female pros. Run (1:26:09): I got on to the run and I was welcomed with cheers from the Rev3 crew. It was a step in the right direction as I focused on smooth running form. Apparently it wasn't too smooth as I got called out by a female pro who came flying by. "Pick up your knees" she yelled. If only she knew the number of people who have called out my running form over the years. As I moved into another gear I was quickly huffing and puffing. She yelled, "stay on my heels". It seemed like suicide at the time but something told me to stay on those heels. 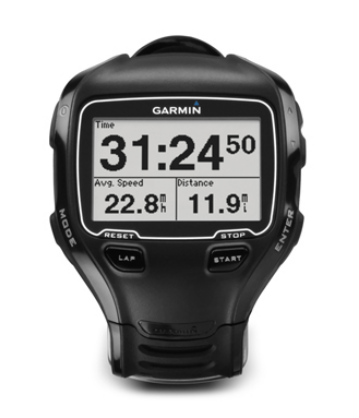 I looked at my Garmin - it was too fast! I did the only logical thing I could think of at the time and that was to take it off. I continued running behind this gal for the next few miles as we exchanged life stories. I learned her name was Lauren Goss, she focused on ITU racing, and this was her first 70.3. She was the local gal and to tell you the truth I was quite surprised that I had never heard of her before. Nonetheless it seemed like the pace was coming down a bit. We headed into an out-and-back section and it would be my first chance to see where I was at. Interesting enough Jay was drafting off Magali Tissayre - who said chivalry was dead? As I went by we exchanged low-fives - I was four minutes down. We continued on the rolling course and are pace was slowing down albeit it very gradually. I took the lead and I started pulling. It wasn't surprising to me as this was Lauren's first 70.3 and it was clear her first mile was way too fast. We reached the second turnaround and I was still four minutes down. My position was determined and I just focused on smooth efficient running as we headed back towards the finish. Lauren and I stuck together the whole way and it was nice to have some company for once. 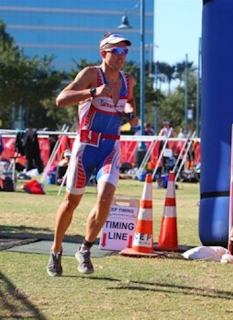 Overall (4:22:40): In the end I would finish as the second overall amateur, second overall in the Rev3 amateur series, and I got to meet some new friends. It was my last race as an amateur and I look forward to racing future Rev3 races as a professional. 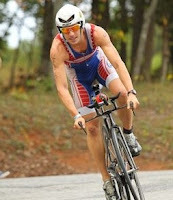 The Rev3 organization has been great to work with, and once again they provided both challenging run and bike courses. Getting to the Ironman World Championship in Kona is tough enough, but that doesn't mean you can't parlay your fitness into an Ironman PR. Here are 10 tips for Kona virgins to help you have the best day you can out there. Some may seem obvious but the difficulty is actually following them during the race. #1 - Don't Get Caught Off Guard - The start of the race goes off with a bang - but what you don't know is the Mike Reilly and the firing of the cannon is simply a moment of spontaneity. Unlike your qualifier race where there is a loose countdown, you won't know when the gun goes off here. And if you are NOT ready, then you will quickly find yourself behind the eight-ball as people start to crawl over you. 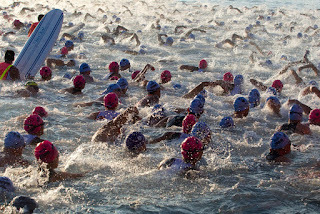 #2 - Swimming thru Madness - Regardless of speed, unless you are the top amateur you will be surrounded by more top swimmers than you have experienced before. It is best to be conservative on the swim. Overestimating your swim speed will just result in people crawling over you left and right - personally I would rather be crawling over people then the other way around. 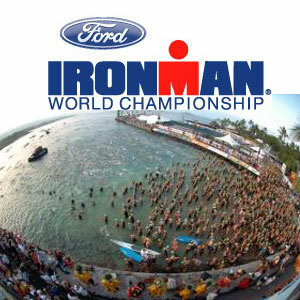 And just because you lined up in the front at your Ironman qualifier doesn't automatically mean you can line up at the front in the World Championship. #3 All Hands on Deck - The 2.4 mile ocean swim can be tough if you haven't done a non-wetsuit IM swim. And if you are at the pointy-end of the field in your qualifier race then you may be middle of the pack here. That means many more bodies than you may be use to and the pier is small and can get quite congested. My suggestion is just to relax going thru transition. With the competitive nature of the world-class field it is easy to get distracted and forget something important - like forgetting to take off your swim skin!! Move thru transition methodically and let your HR fall. The precious few seconds lost will be gained back on the bike. #4 Beacon The Bags - I always like to add a little special touch to my bags. It makes for easy identification of the bags and can be a real time saver in the event that the bag gets misplaced. #5 - Sail Away - People always ask: what depth wheel should I bring? 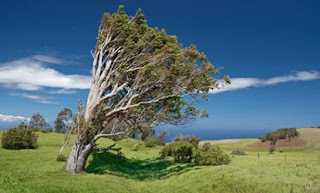 Asking this question likely means that you are worried about cross-winds and should err on the side of caution. If you ride scared you will ride slower on a 808 than a 404. If you have to bring an 808 then make sure you pre-ride the descent from Hawi and do it during the middle of the day. #6 - Bike Pacing - There is no glory in a great bike split if you can't back it up on the run. Kona is likely much hotter, and more humid than you are use to, and this can greatly affect the amount of power you can put out. It also affects how much you can take in. Course difficulty all depends on winds on the day, but it is best to take it out conservatively. If you have to ask yourself out on the bike if you are going too hard then you probably are. #7 Enjoy The Intermission - The run is going to hurt, it is going to be hot, and you are going to suffer. Enjoy the shade of the tent as you methodically move thru transition. No need to rush this. At worst you lose a few seconds as your body cools off and your heart rate falls. I can assure you this will be made up once you get onto the legendary lava fields as you roast in the midday sun. 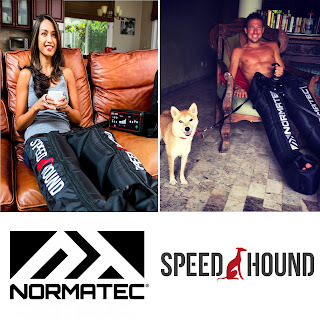 #8 Walking Can Be Faster Than Running - The Queen-K and Ali'hi drive can be absolutely awful, and keeping your core temp in control and allowing your body to absorb nutrients becomes top priority. To get thru the marathon there are three strategic aid stations to walk and they include the aid station right before the hill at around mile 8, Palani hill, and coming out of the Energy Lab. All three places are great places to walk for 15-20 seconds as you fuel, cool down, and let your HR recover before you tackle the climbs. #9 Sweat It Out - Bikram Yoga is a great way to work on heat acclimation while keeping you flexible, and rejuvenating the body and mind. If you haven't done Bikram Yoga before then this might not be the time to experiment, but it can be great way for people from the Pacific Northwest, Midwest, and East Coast to stay acclimated without going to Kona 10 days out. #10 Hot-Box Biking - If you have a bathroom big enough, then turn on the shower, close the door, and start biking. Use common sense when it comes to the temperature and duration and also don't bring any electronics in that could cause a short or that could be adversely affected by the humidity. And NO, the bike doesn't actually go in the shower.